is a total of $27, add the $2 that the bellboy kept = $29. where is the other dollar? The three men HAVE paid $27. But the bellboy's $2 are part of it. The hotel has $25 of the men's dollars. The bellboy has the other two. That's $27, and the three the men have make $30. 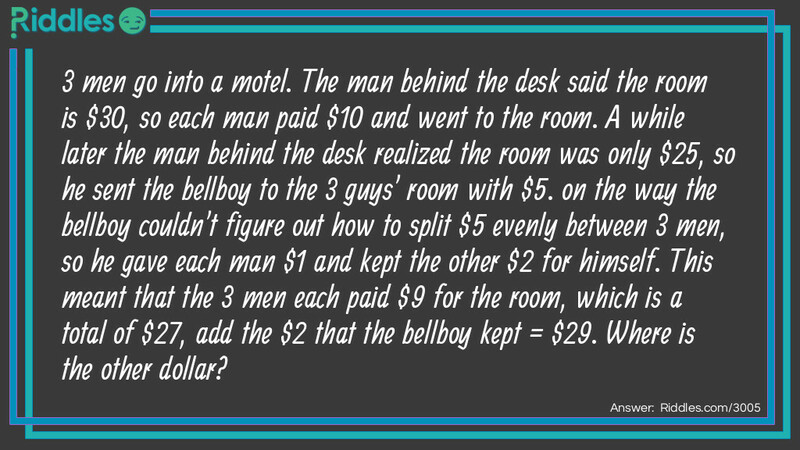 The riddle is confusing because it would add the bellboy's $2 to the men's $27. 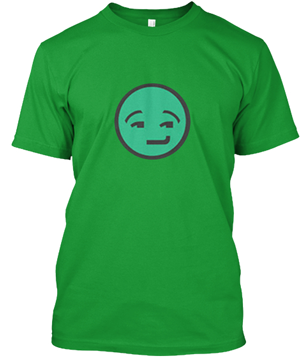 But the men don't HAVE $27, nine each. They each PAID $9 for a total of $27, of which the hotel has $25 and the bellboy has $2. They HAVE $1 each. Add that to the two the bellboy has, and the $25 in the cash drawer (together the men's $27), and you have accounted for all thirty. I came across this riddle elsewhere on riddles.com, but the answer given was "I don't know"! So I figured it out and posted it. The Missing Dollar Riddle Meme with riddle and answer page link.